A little bit late to the party on this one, but thought you guys would like to know. I’m certainly definitely very excited about this. Journey is a game released in 2012, originally as a PS3 exclusive. Which was a great shame, because Journey is an absolutely beautiful game capable of really moving the player without a word of dialogue. It won multiple awards and we’ve really not seen something quite like it since. I personally never got to enjoy it for myself, but even seeing let’s plays of this game was very satisfactory. The game is derided by some as a walking simulator, even though it doesn’t meet the criteria having an explicit or implied failure state, but even then it represents a big step for Epic Games. Journey is exactly the eye-catching title that the store needed for people to start giving it attention. You could call it a transfer of exclusivity. Of course it’s not Bloodborne or God of War, but it’s interesting enough to raise some eyebrows. It’s also interesting to note that Epic had a bit of an issue dealing with Sony on the matter of Fortnite, so for an ex-PS exclusive to now go to Epic’s store is fascinating. Journey does have a fun multiplayer component, so can we expect cross-play with PlayStation? Probably not, and it seems to be something that people by and large don’t seem to consider, but it interests me greatly. 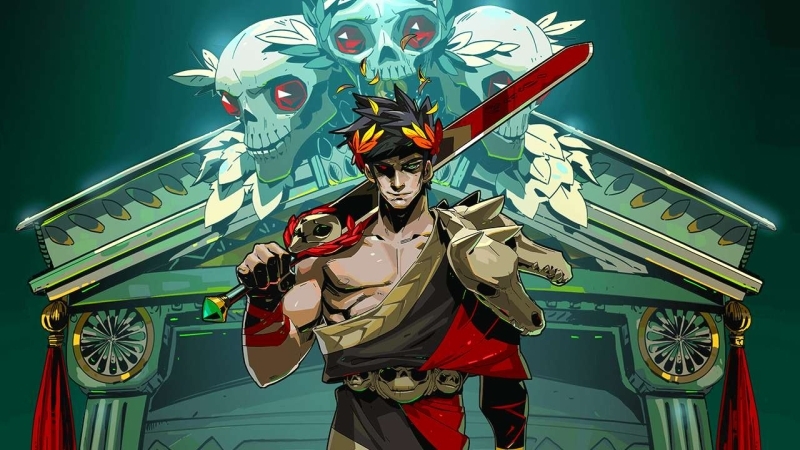 The store also managed to secure Supergiant Games’ upcoming game Hades, now going through the store’s version of Early Access, which seems like an attempt to show the players how Epic’s version of the program works. Without official forums on the store, communication between the testers and the developer may be more difficult at the start. Maybe not so much for Supergiant, who are an established indie developer, but it might be tricky for developers not able to put forward official and well-designed forums. We’ll just have to wait and see. Epic’s store also offers up Subnautica, an excellent underwater exploration/survival game for free for a limited time and they plan to also release free games on a regular basis. Like a streaming service would, minus the subscription fee. That’s one hell of an aggressive push to get on the market and while the appeal is obvious, there’s a lot of push-back against the idea, usually boiling down to the slight inconvenience of being forced to use another launcher for video games. I think people are seriously underestimating how destructive monopolies are and that’s not a good thing. Personally, I’m stoked and hopeful, even though the store went up without much fanfare following all the surprise announcements. Which is sad, I’d hoped they’d made a bigger show of it. I don’t know, I expected something more… epic I guess? I think Epic might be overestimating its own brand name’s power and conflating it with Fortnite’s reach, but then again people playing Fortnite are already using the launcher, so they’ll see it. I just hope that this is not a prelude to Epic attempting to foster Sony-style sycophantic brand loyalty. The ideal world is one where the companies compete, not one where they use their followers to do their battles for them. Though there’s something to be said about the latter being inherently more profitable than the former. Explore an alien ocean wide and deep while you’re trying to survive and figure out how to complete your mission and survive while your damaged spaceship is out of commission. Build a base to sleep easier, create a submersible to explore the dark depths where monsters dwell.